Are you a citizen? Here's what happens if you lie on the census. It's a federal crime not to answer census questions or to give false information. But here's why you shouldn't worry about being prosecuted. Article I, Section 2, of the Constitution requires the enumeration of people in the U.S. every 10 years for the purpose of apportioning congressional representatives. The "Census Clause" also requires that representatives be apportioned among the states "according to their respective Numbers." Section 2 of the 14th Amendment further provides that House representatives "shall be apportioned among the several States according to their respective numbers, counting the whole number of persons in each State." The Census Act of 1790 provides for the enumeration of the "inhabitants of the United States." Federal law requires that the secretary of commerce take a census of "population" — not citizens — and the same law authorizes the secretary to "obtain such other census information as necessary." The Constitution says "persons" — not "citizens" or "green card holders." 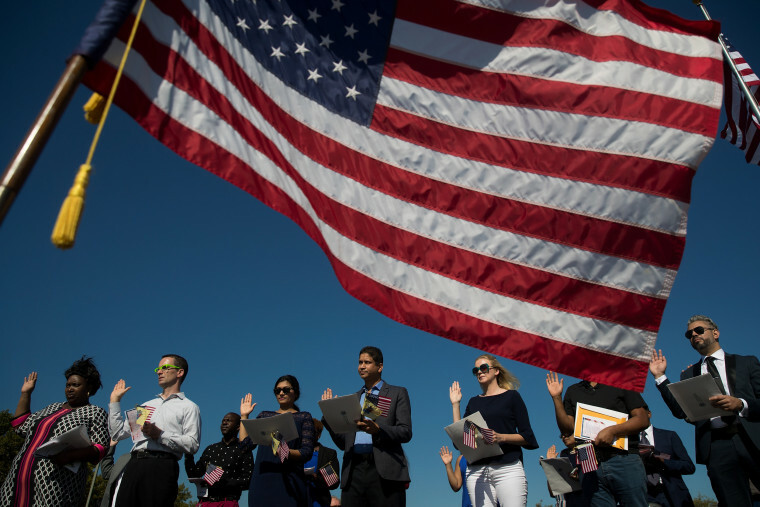 That's why the Trump administration's move to include a citizenship question on the census is meeting such intense opposition; there are concerns that it will deter participation and lead to an inaccurate population count. Federal law provides that anyone who refuses to answer or willfully neglects to answer any of the questions in connection with any census or survey shall be fined a maximum of $100, or a maximum of $500 if the person gives false information. In theory, noncitizens should not fear answering census questions. Surveys are mailed to addresses, rather than to specific individuals. Not including individual names on the address label is meant to protect the confidentiality of the participating households. Additionally, federal law provides immunity for persons who give answers to census questions. Information furnished cannot be "used to the detriment of the persons to whom such information relates." Census reports may not be admitted as evidence or used in any action or proceeding, without consent. These laws are designed to deter someone from refusing to answer questions on the census claiming a Fifth Amendment privilege against self-incrimination. Practically speaking, though, anyone who is concerned about their legal status may not want to volunteer this to the same federal government that could deport them. It's hardly a sentiment limited only to noncitizens. In past enumerations, some Republican leaders have all but encouraged open defiance of the law. Then-Sen. Trent Lott, a Mississippi Republican, once advised constituents to fill out "the basic census information" but added that if they felt "their privacy is being invaded by those (additional) questions, they (could) choose not to answer those questions." And George W. Bush, then a candidate for president, said he "(understood) why people don't want to give over that information to the government." Prosecutions for failure to participate in the census are rare; most significant court cases dealing with these crimes date back to the 1970s. The perceived risk of answering remains greater than the virtually nonexistent risk of not answering because the Justice Department is not likely to start prosecuting offenders for refusing to answer. Attorney General Jeff Sessions has indicated that illegal immigration will be a priority for the DOJ under his command, but going after noncitizens who refuse to answer census questions, motivated by fear of being removed from the country, would contradict the overall message the census is trying to send: It is here to count you, not to hurt you. Plus, courts have indicated in the past that purposeful discrimination by census authorities can give rise to a defense of selective prosecution. Ultimately, the refusal to answer census questions is a federal crime, but not really. Some categories of federal criminal statutes are heavily enforced. Drug crimes and immigration crimes make up over 50 percent of the federal prosecution caseload. Then there are those federal crimes that are technically crimes, but not really. For example, it's a federal crime for a peanut dealer to refuse to tell the government how many peanuts he has. It's also a federal crime to mail a package of dead bees without writing "DEAD BEES" on every side of the box, using black letters at least an inch tall. There are a lot of federal crimes. Not all of them are enforced. Refusing to answer the census or lying on it will likely remain in that second category — a crime, but not really.